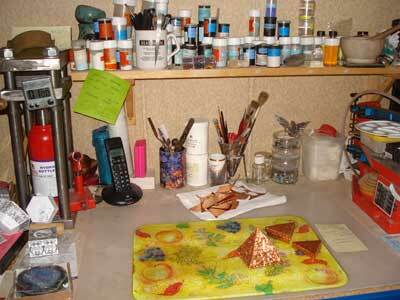 Artists studios are often very chaotic. Mine is no exception! I thought you might like to see where I work. 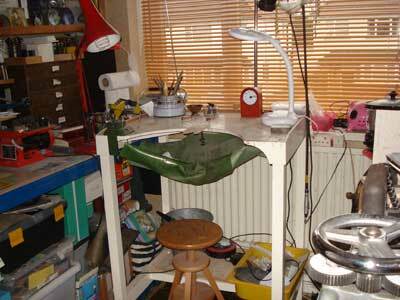 This is my work place on a good day. When I am working on new work it gets worse and worse until I finish or it gets so bad that I have to stop and tidy half way through.